When the outcome of a legal case is affected by a mistake in the application of the law or by a finding of fact that is wholly unsupported by the evidence, the parties have a right to appeal the decision. Whether a default judgment should have been set aside or there is a constitutional issue involved, appeals involve meticulous research and persuasive legal drafting. Of the relatively few lawyers who handle appeals, many have little experience at trial. A clear, concrete understanding of the trial process is essential at the appellate level, as is the ability to appreciate the differences between trials and appeals. Juries focus on determining the facts. Trial judges apply appropriate procedural and evidentiary rules and the relevant law to those facts. Appellate judges are more concerned with whether significant errors were made, with public policy, and with constitutional issues. Attorneys with strengths in both trial strategy and appellate persuasion are a true resource to clients. At Benjamin A. Kergueno, Attorneys at Law, we are known as efficient, prepared trial attorneys. As appellate advocates, we also have the research, legal writing, and presentation skills to handle appeals of any degree of complexity in front of the court of appeal of Aix-En-Provence, which hears cases from the high courts in Nice, Grasse, Dignes, Draguignan, Toulon, Marseilles and Aix-En-Provence. If you need to appeal a case in the Aix-En-Provence court of appeal, contact us for an evaluation of your case. 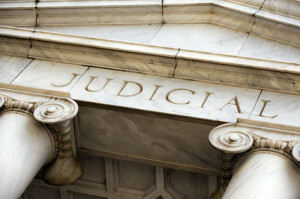 Our attorneys handle appeals of cases tried by other trial lawyers as cases that we tried.